Five projects issued from collaborations between designers and scientists. When designers and engineers collaborate, it bears astonishing projects and what a while ago was defined as science fiction is now foreseeable. All these projects bring a possible answer to first needs such health, security, energy, transportation and communication. Because we do not believe in the future anymore, here are some visionary suggestions that replenish our minds with courage, inspiration and hope. 1. « Latro », Mike Thompson, lamp, United Kingdom, 2010. 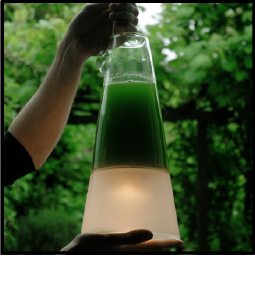 This lamp project arose from a collaboration with Stanford and Yansei University scientists and works with algae. 30 nanometer electrodes are put into photosynthetic cells: chloroplasts. A small electric current is powered during the photosynthesis process. 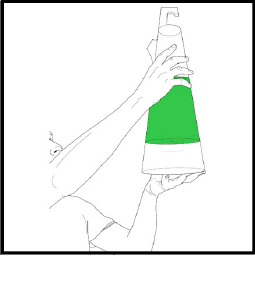 A light captor indicates if there is enough light for the algae to survive and a battery accumulates the electric power to light up the lamp once night falls. This lamp requires daily care due to the fact that its energy comes from a living organism. 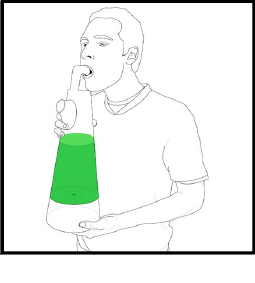 Its user must bring it water, carbon dioxide and light. It is a poetic approach to showing that a symbiosis between nature and energy production is possible. 2. 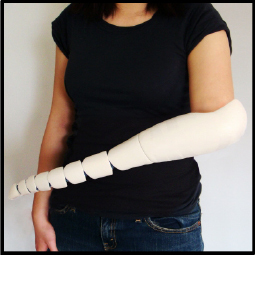 « Prosthetic Arm », Kaylene Kau, arm prothesis, Taiwan, 2011. This project questions the boundaries of prosthetics. Does a missing limb have to be replaced by its copy? Is there not any other anatomic part more adapted than a hand in all of what nature has to offer? 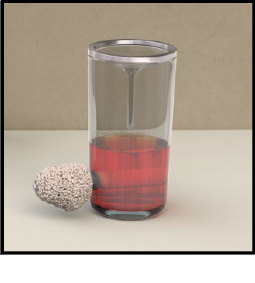 In her researches Kaylene Kau discovered that an artificial arm is frequently used as an auxiliary to the valid hand and that its principal function is to grab objects. 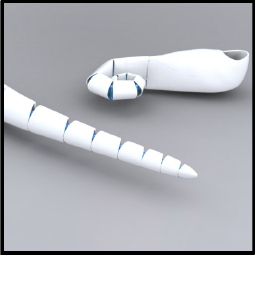 Due to the difficulty to reproduce all the functions of a valid hand in a prothesis, which will never replace the lost body part, she decided to look to another solution and avoid any disillusion. The tentacle is easier to produce and to use. 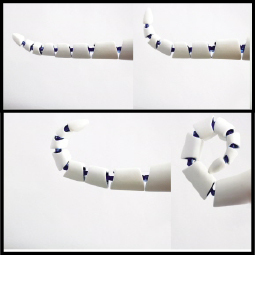 It answers the need to manipulate and grab daily objects. 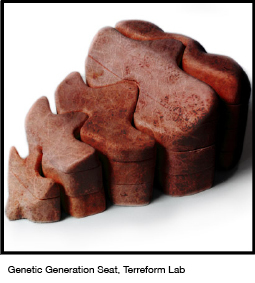 This project questions the body’s unity, the will to reconstitute it against the acceptance of its loss and its evolution to less conventional reconstructions. 3. 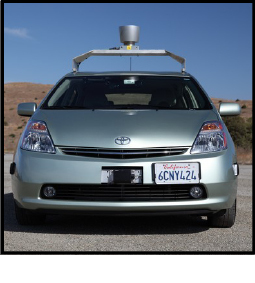 « Google Cars », Google, autonomous car, 2013, United States. The car without a driver is not a myth anymore. Google, which became the world leader in robotic cars research, launched its new geolocalisation system working with Google Maps for a complete autonomous car driving. Video cameras and sensors are arranged all around the car and permit a 360 degree peripheral vision. Trials were carried out in California. Cars drove for 200 000 miles, on the Golden Gate Bridge, the Pacific Coast Highway and Hollywood Boulevard. “I imagine a lot of people think of a self-driving car as science fiction or something out of The Jetsons and something that may not be available for a long time,” said Alex Padilla, California senator, before getting into a Prius Toyota fit with a sensor on the roof and with the Google logo on the doors. Nearly every car accident is due to a human error and this device will permit to avoid it and reduce the number of deaths on the road. Concerning our freedom, we could dedicate ourselves to whatever we want inside the car but also to be geolocalized at any moment. Why won’t we abandon the will to own a car and imagine this system as a wide transportation network at our disposal? IDEO designers with the Lim Lab of California University at San Francisco and the Synthetic Aesthetic at Edinburgh University scientists worked together on two concepts: personal microbial culture and a packaging that creates its own contents. Synthetic biology permits to program nature and to turn a living organism away from its original function and to use it for human needs. 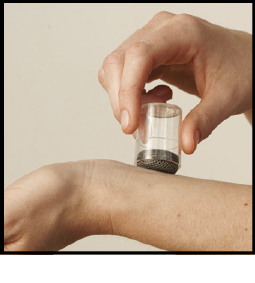 The first application practice is a skin care product secreted by a living microbial culture housed in a vessel. « Personal Microbial Culture » answers to the question “What if we could nurture organisms tailored to meet our bodies’ needs?” This personal engineered organism lives off the cotton balls that are used to apply it to the skin and produces fragrance, soap, oil molecules, and vitamins, in a combination most appropriate for the individual’s unique skin. It permits a more intense and visceral relationship between skin care and its user. 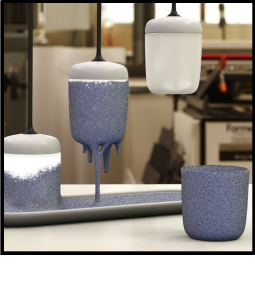 The second application is a « Packaging That Creates Its Contents » and uses these bacterial organisms to weave a material or biodegradable « skin » used as a container or as packaging. A higly probiotic drink can be released by the beasties making the container. They are exposed to specific light frequency and are still alive but asleep during transportation and storage. It is only when they are in contact with water, when the container is full that the beverage become a probiotic drink which helps digestion. 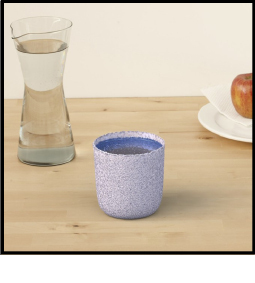 After a few times, the cup’s wall disintegrates and it can be composted. This project enables to imagine a society in which waste is not a problem anymore. In July 2012, these two projects received a Core 77 Design Award in the « Speculative » category. In this last part, I would like to present not a specific project but a process. At the beginning of the 21st century, we saw the birth of experimentation laboratories where designers and scientists work together around common questions. Sophisticated research materials’ prices came down and allowed to access wider possibilities in a smaller scale and at lower cost. Research reorganizes itself around multidisciplinary exchanges. For example, the “Terreform One Lab” works on creating a sustainable and habitable environment and on finding solutions to renewable energies, transports, food and water, waste disposal, buildings and infrastructure issues. Furthermore, the “MSI’s Wanger Family Fab Lab”, initiated by the Massachusetts Institute of Technology counts over 100 laboratories around the world and helps research by providing computer devices. One should not get confused with these labs and what is now called a “Fab Lab” which permits a hobbyist public to access professional devices and encourages it to share one’s ideas and finds with all the users. 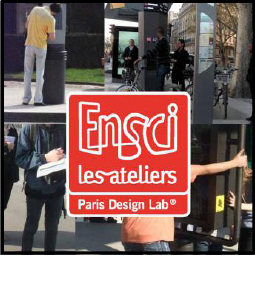 For example, the “Paris Design Lab” funded by the ENSCI school offer a PhD degree for this school’s students in partnership with two other schools and industrial partners. The MIT Media Lab, created in 1989, is dedicated to finding practical applications for new technologies and collaborates with brands and companies in order to commercialize its projects. These local initiatives testify that with more or less means and a great cleverness, we can realize projects turned towards a collaborative and participative future. We cherish the idea that these laboratories continue to develop themselves and bring feasible solutions. We hope they will change our future and we look forward to seeing their projects evolve in our daily life. We also invite you to explore these projects in more detail on their websites. All these projects involve scientific skills and daily applications. They are shrewd examples of enriching dialogs between scientists and designers and lead to a not so hypothetical future success. They offer new uses and habits around objects from our surroundings. When we think about all those inventions and scientific innovations that have not found practical application yet: designers, you know what is to be done!